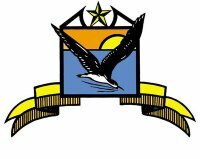 Interested in promoting and supporting avian conservation on the Texas Coast? Huth Avian Services is proud to co-sponsor, with TOS, the Roughwings Chatty Chickadees team for 2019. They will be birding the Upper Texas Coast region. Best of luck and Happy Birding to Andrew Brooke, Caitlyn Hughes, Cedric Spikes, Gabrielle Woods & Garrison Wood.